West Nile Virus causes neurological disease similar to EEE and WEE. The vaccines available are highly efficacious and very safe. Annual booster. Tetanus is a progressive and often fatal disease caused by the bacteria Clostridium tetani, which is ubiquitous in the environment. The disease is caused by a neurotoxin that is produced when the bacteria infects wounds (especially puncture wounds and deep lacerations). It causes progressive “stiff” paralysis that can be fatal if not treated. Annual booster. These are neurologic diseases that cause a range of symptoms in horses and people including fever, lethargy, recumbency, seizures, mental dullness and death. They are transmitted by mosquitoes and other blood sucking insects from birds and rodents to horses or humans. The vaccines available are highly efficacious and very safe. Annual booster. Although rabies is infrequent in horses, it is a significant risk to people and is 100% fatal. It is therefore considered a core vaccine. Annual booster. Rhino is caused by Equine Herpes Virus (EHV). It is divided in to subtypes EHV-1 and EHV-4. It causes a variety of clinical disease, including abortion, weak or stillborn foals, acute neurologic disease and upper respiratory disease. It is highly contagious from horse to horse via nasal secretions and can live in the environment for at least 14 days. The vaccines do not protect against the neurologic form of the disease. However, the vaccines may help reduce spread of the disease from horse to horse. Booster bi-annually (or more frequently if warranted). Influenza causes similar signs to human flu. High fevers, lethargy, nasal discharge, cough. Influenza has many strains and sometimes the vaccine doesn't protect against them all. The vaccine is only protective for 4-6 months. It is highly contagious and is most common in horses that travel a lot and are exposed to new horses, or at show grounds, race-tracks, etc. Booster bi-annually is recommended, or more often if travelling and showing frequently. Caused by Neorickettsia risticii (formerly Ehrlichia risticii), this disease has a complex lifecycle, including snails and slugs. It is believed to be transmitted to horses through accidental ingestion of insects (mayflies, caddis flies, aquatic insects) who have ingested the organism in water. Clinical signs include fever, diarrhea, lethargy, colic, and laminitis. Unfortunately, the disease is often fatal. Booster annually or bi-annually for horses in high risk areas or horses that are travelling South. Caused by a bacteria, Streptococcus equi, strangles is characterized by high fever, thick mucopurulent nasal discharge (mucous and pus) and swelling and abscessing of the lymph nodes of the head and upper throat. The organism is persistent in the environment and is highly contagious from horse to horse. Booster annually. 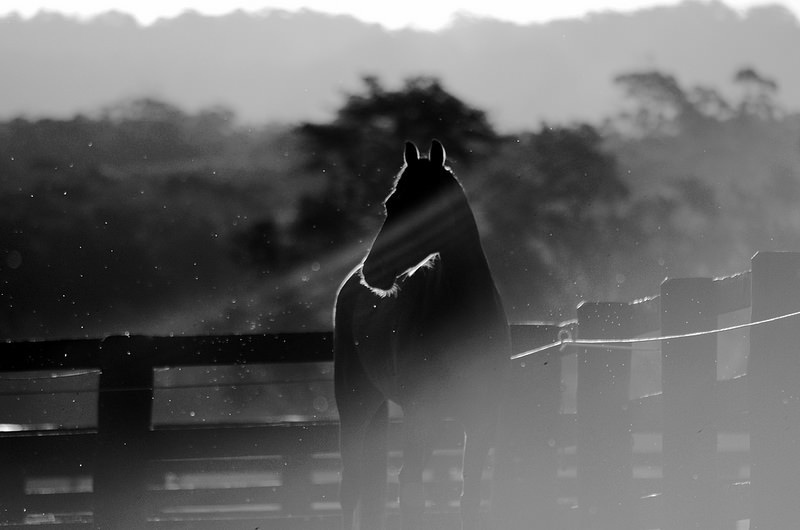 Recommended for horses that travel, show or live in barns that have horses coming in and out on a regular basis.